(Beverly, MA) – March 7, 2017 – Brookwood Securities Partners, LLC (“Brookwood”), the broker-dealer affiliate of Brookwood Financial Partners LLC, a leading real estate investment and asset management company, today announced that W. Onnie Mayshak has joined the firm’s Institutional Sales and Investor Relations group as a Senior Vice President. The expansion of Brookwood’s institutional sales practice mirrors the firm’s growth over the last several years. Since re-entering the market in 2010, Brookwood has acquired 8,401,327 square feet of real estate worth over $1,200,000,000 and has expanded its staff to 109 employees located in 24 offices across the United States. Brookwood also recently launched BW Gas & Convenience Holdings, LLC, d/b/a Yesway, a new gas station and convenience store chain with locations in Iowa and expansions underway across the Midwest, which is expected to employ 1,000 people by the second quarter of this year. Prior to joining Brookwood, Mr. Mayshak was a Director of Institutional Sales at Guggenheim Partners, where he was responsible for a book of business that included Asset Managers, Hedge Fund Managers and Private Wealth Managers in Boston. Prior to this, he was the Northeast Director of Institutional Sales at Ned Davis Research, where he managed a sales team responsible for the Northeast and Mid-Atlantic Regions. Mr. Mayshak has a bachelor’s degree in environmental science and public policy from Harvard University in Cambridge, MA. 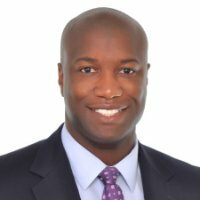 He is also a member of the Board of Trustees for the Boys and Girls Club of Boston, and previously served as a mentor at Big Brothers Big Sisters of Massachusetts Bay.